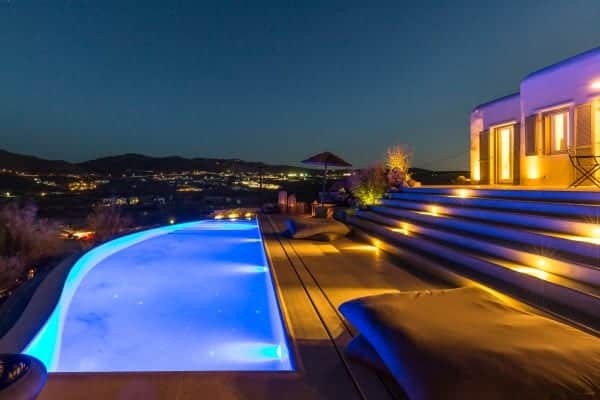 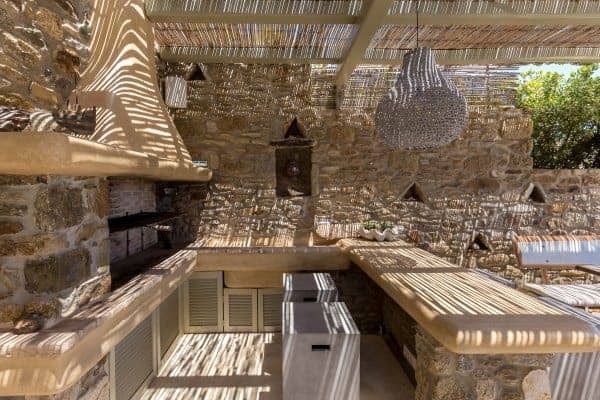 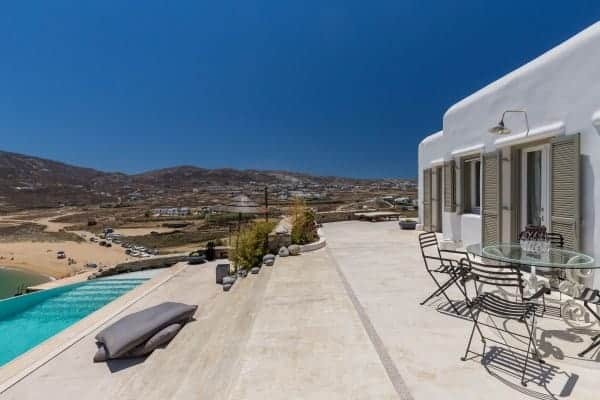 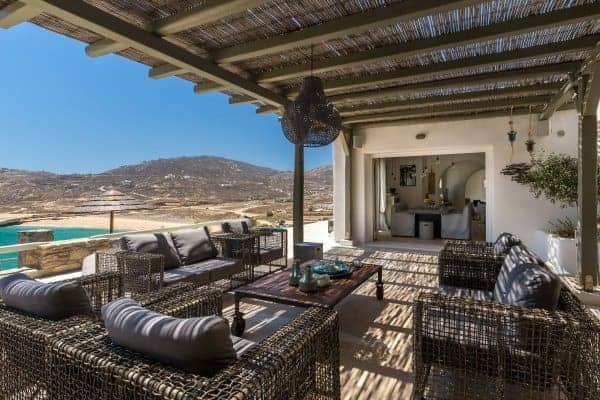 This seaside villa is tucked artfully into the hills just above the golden sands of Ftelia beach, and looks out over the largest and most tranquil bay that Mykonos has to offer. 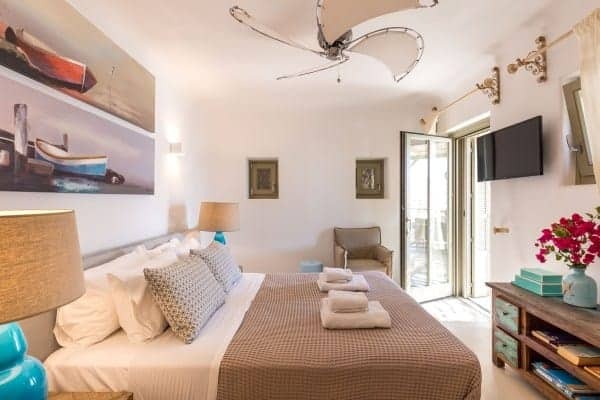 Waking up and being rewarded with a peaceful expanse of turquoise, emerald and azure, guests could be forgiven for thinking that they had been transported to the Caribbean. 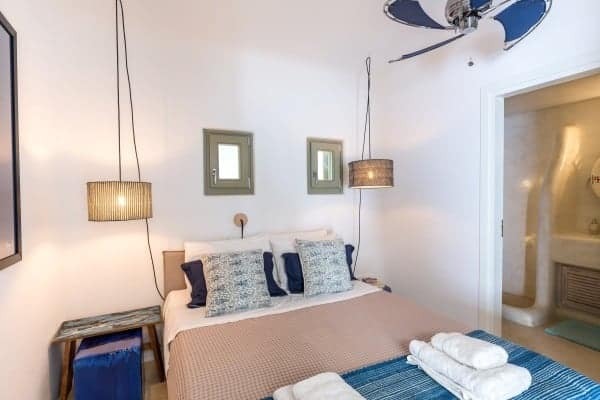 The beach itself, famed for its beauty but also for its optimum wind surfing (and other watersports) on windy days, is a convenient one-minute walk from the villa. 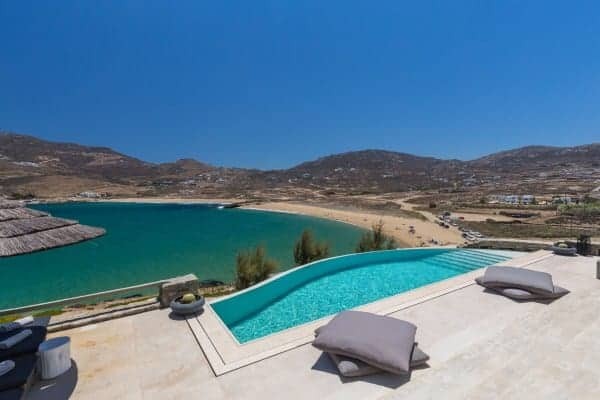 Should guests prefer to swim in privacy, the villa also features a stunning saltwater infinity pool, from which they can enjoy the views out over the bay. 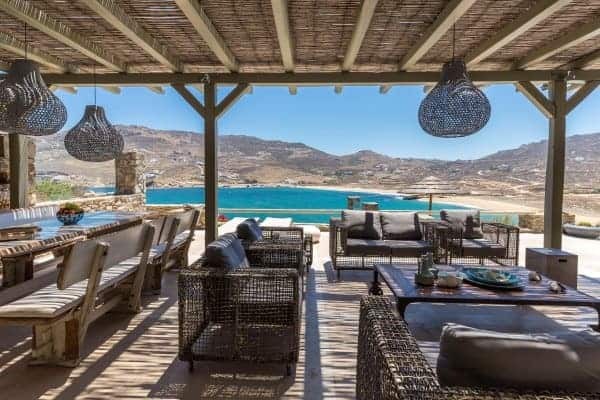 The Villa is situated on two levels, with an outdoor lounge and a dining area which is naturally shaded from the bright, midday sun. 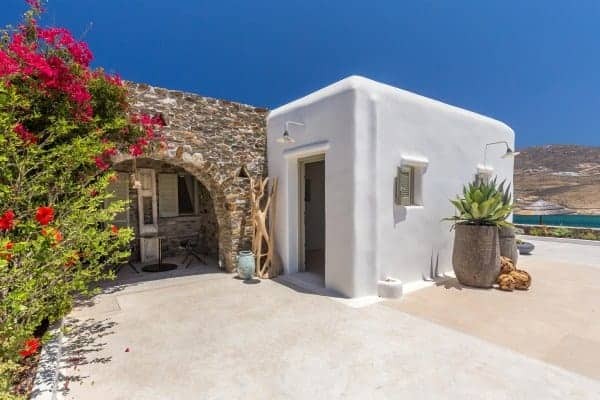 The villa is an elegant interpretation of traditional Greek architecture, finished with a mix of artisanal stone masonry and sweeping, white-washed walls. 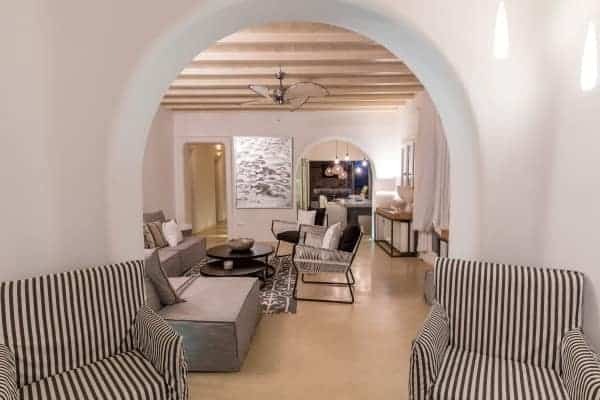 The sympathetic curves and summery palette continue inside the property, where the spacious rooms are adjoined through elegant white archways, and touches of lightly-coloured wood provide detailing in the beams, ornamentation and furniture. 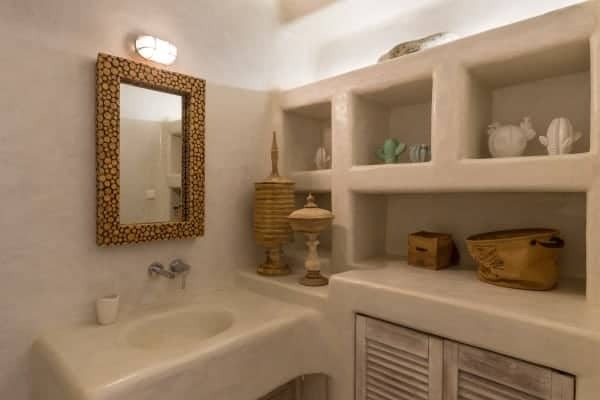 The addition of some tasteful art and decor results in a well-balanced mix of both simplicity and opulence. 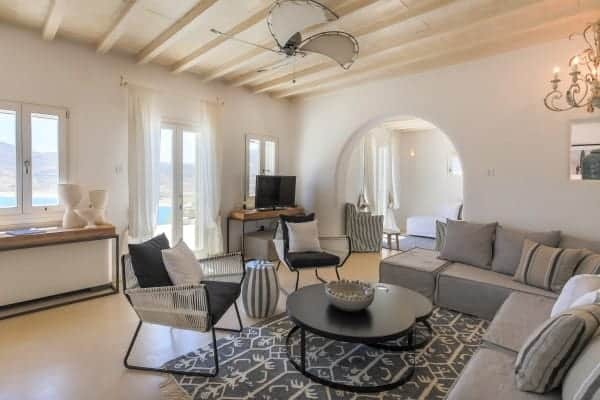 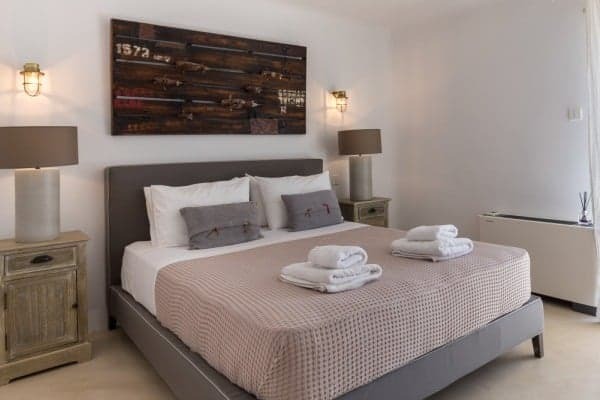 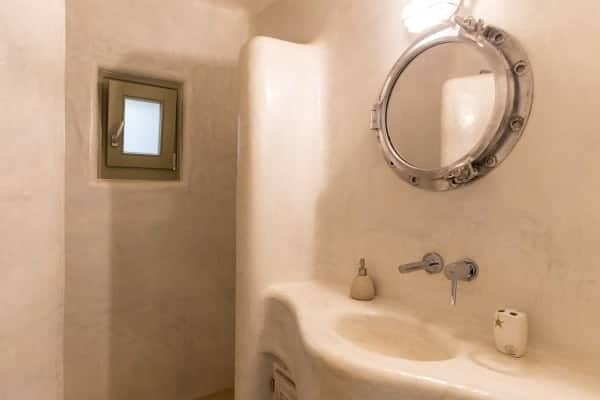 Each of the five bedrooms are en suite and two of these suites are co-joined on the lower level of the property with a shared patio which overlooks the magnificence of the Aegean Sea. 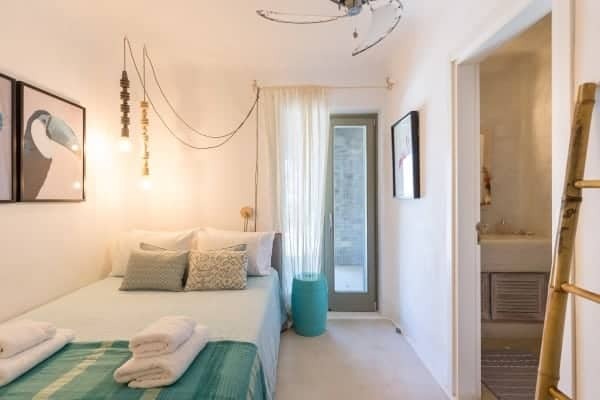 The master bedroom, which also boasts a sea view, is located on the upper level along with two guest bedrooms, a children’s playroom, the laundry room, the kitchen and the dining area. 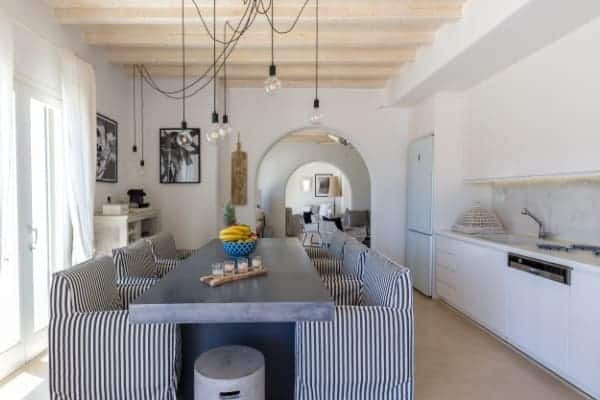 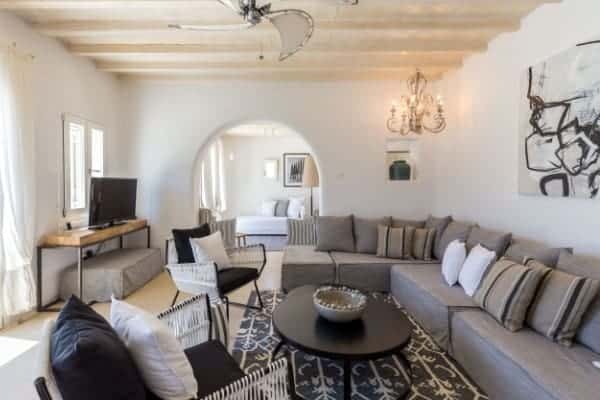 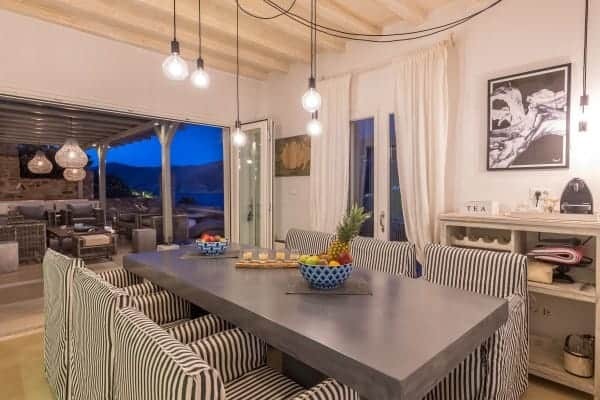 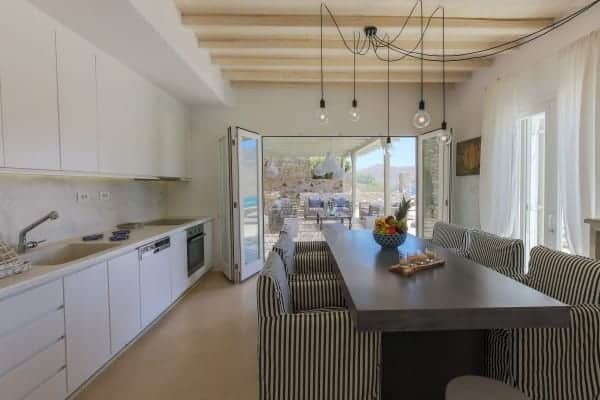 The spacious nature of the building and the addition of ample car parking space means that this villa can comfortably host groups of up to ten people. 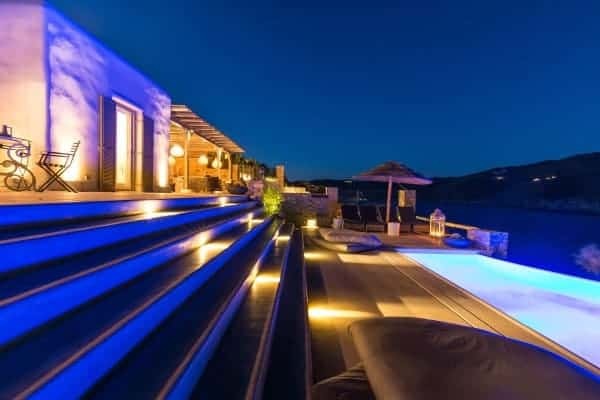 Just like Mykonos itself, this villa is a destination for all occasions. 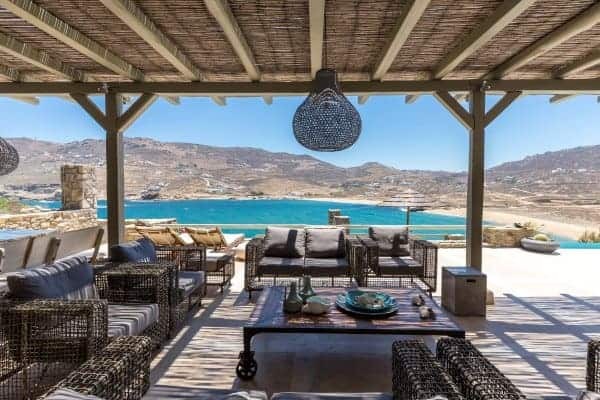 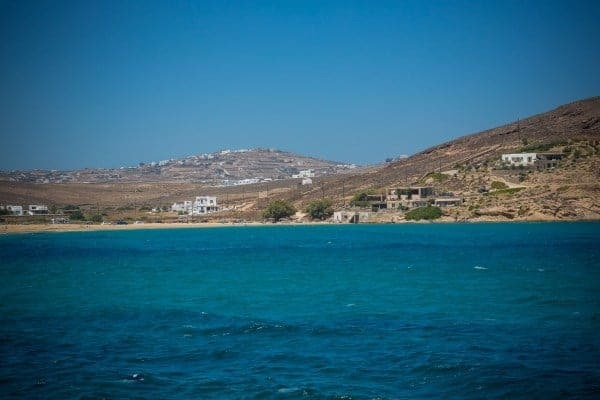 And whether you’re searching for a romantic retreat, a relaxing family vacation or a fun getaway for a group of friends, this Aegean panorama will be cherished by all.